Body lift procedures can effectively remove excess skin in a number of problem areas, but they can be especially beneficial to patients who have experienced substantial weight loss, such as that following bariatric surgery. Two of the most popular body lift procedures are thigh lifts and arm lifts. At Piedmont Plastic Surgery, board-certified South Carolina plastic surgeon Dr. Ted Vaughn will discuss your options with you during your personal consultation and customize your body lift procedure to meet your individual needs. Please call 864-223-0505 to schedule your initial consultation. A thigh lift can remove excess skin and provide a firmer, natural-looking contour to the upper legs. Because there are multiple methods for approaching a thigh lift based on individual factors, it’s best to schedule a personal consultation with Dr. Vaughn to discuss whether a thigh lift is right for you and what your specific treatment options are. 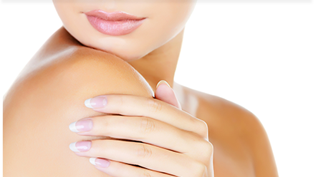 An arm lift — also known as a brachioplasty — is used to remove excess skin and fat that accumulates and hangs below the upper arms, commonly as a result of significant weight loss. As with thigh lifts, there are numerous surgical approaches to an arm lift depending on the specifics of your condition. Dr. Vaughn will thoroughly explain your options to you during your one-on-one consultation. If you live in the Greenwood, Greenville, Anderson, Columbia or Laurens, South Carolina areas and would like to learn more about body lift procedures, please contact Piedmont Plastic Surgery online or call 864-223-0505 today.